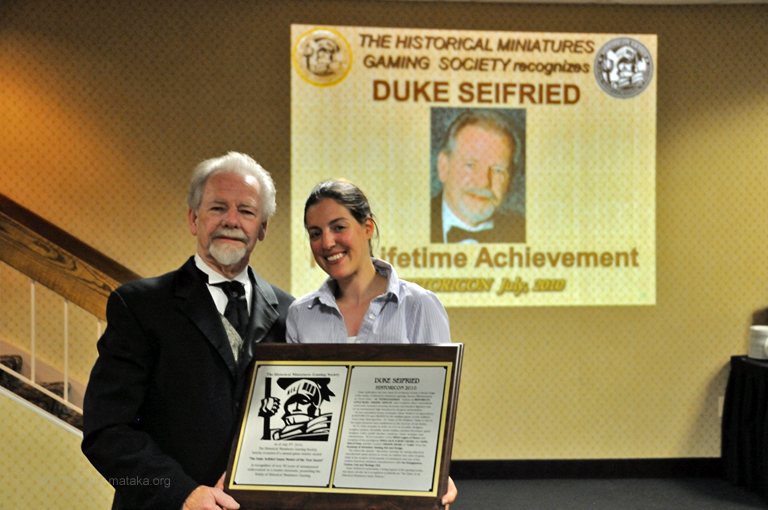 The HMGS Duke Seifried "Game Master of the Year" Award - Historical Miniatures Gaming Society, Inc. Awarded annually at HISTORICON® to a Game Master (or GM Team) from among the past year’s “Best of Show” and “Best Theme” recipients. Selected by the Awards Committee, usually for those who won the top awards at multiple HMGS® conventions.